When you sew with your friends, you all make the same projects. This is my Dresden Kaleidoscope that I just took off the frame. It really feels good to be getting these ufo's finished! Wow! You are amazing. I will have to have you do some more for me. ​Great quilt but the quilting makes it splendid! Love a good Dresden and that quilting is awesome! I like your quilt very much as I admire that technique. However, your quilting is spectacular. I like the continuity of it extending past the narrow border into the larger border. 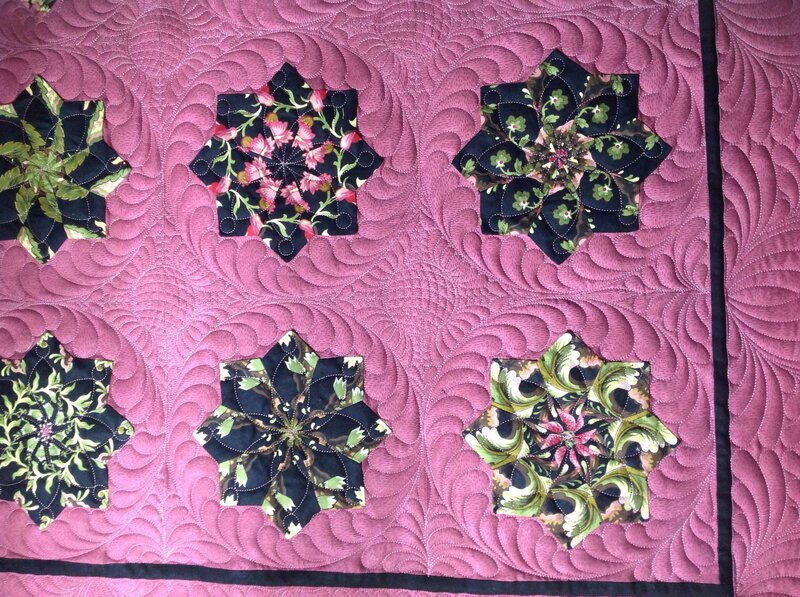 Another beautiful quilt...I always look forward to your photos and posts Harriet. Wow, wow, wow! Great colors, but that quilting!!! Wow! Wow, another gorgeous quilt!!! That's a real beauty. Beautiful! Is the quilting freehand? Love the border treatment. Your quilt is beautiful but your quilting makes it totally awesome. You continue to amaze me with your beautiful quilting. I like the background color. WOW. Your quilting is out of this world. What size are your actual dresdans? I am looking for a pattern for a size that is 8"- 9". Where did you find your pattern? 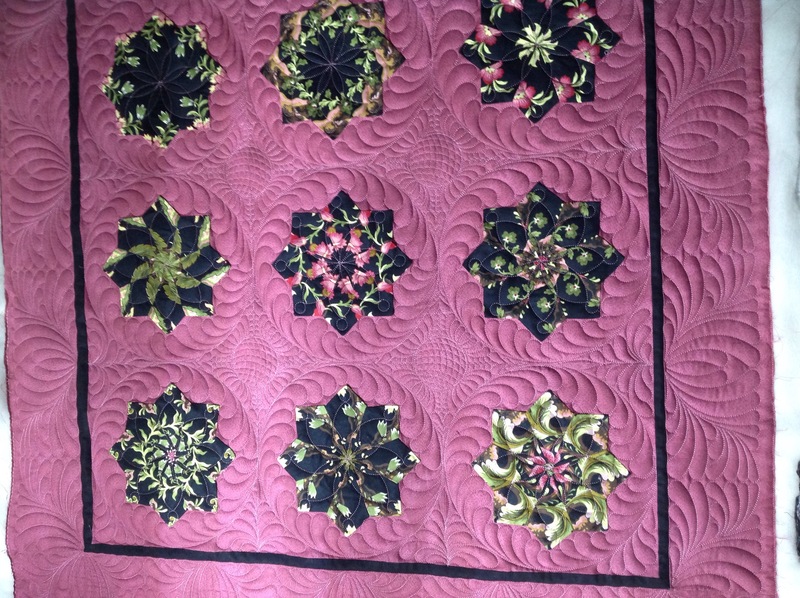 Gorgeous quilt and wonderful quilting. Did everyone use the same background fabric? The one you used is perfect. Lovely! There’s real movement with the quilting. The feathers around the circles are Free hand . All the rest is computerized. Beautiful quilt and gorgeous quilting. I love the background fabric-it really sets off your dresden blocks.